More and more of you have already tried LMeve, which I am incredibly grateful for. This means more people are testing the app and I get more feedback, which is awesome. I also get a lot of questions which I try to answer the best I can and in a timely fashion. Remember: by trying and using LMeve you help developing it! Few players also caught some bugs, that I'm happy to announce, have been properly squashed in the 0.1.52 release. Bug fix in YAML updater - changed 'DROP TABLE' to 'DROP TABLE IF EXISTS' to prevent errors if the table was not created yet. The first API feed is used by POS tracking code to display accurate and up-to-date fuel levels in LMeve Inventory. The second CREST feed provides NPC cost index to the build cost estimation formula (I currently use an average system index, so you might pay more or less than what LMeve uses for price estimates). In the next release I will add a "Industry home system" field in Settings, where you will choose your home system. LMeve will then use this system's cost index in all it's calculations. About two years ago I've written a post about iOS and Android apps for EVE Online, but I didn't have any Windows Phone device at the time, so I had to skip this fledgling platform. Said post has become very popular and is one of my top post to the date. Few months ago I've become owner of Nokia Lumia running Windows Phone 8.1, so I am now able to test EVE apps on Windows Phone. Enjoy! 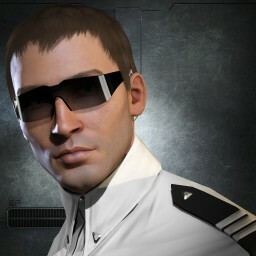 EVE Mail is in-game mail client. Entering API Key is straightforward - simply press the plus sign on the first page. Once you've done that, your characters will appear on the front page. Each toon has their own set of mailboxes including "Inbox" (all mail), "Personal" (character mail), "Corporation" (corp mail) and "Alliance" (as name says). You also see your "Mail lists" and "Sent" which holds all messages you've sent. XML EVE API does not let messages to be sent from device, so this app is of course read-only. Unfortunately the app does not have a Live Tile, which would utilize one of the most powerful features of Windows Phone. There is also no notifications when new mail arrives - you have to open the app to manually refresh the mails. All in all, the app is still useful, because it gets the job done. This is an ultra simple reference app. Looking for a Mercenary? Download this app and you'll know who to talk to. Information is divided by space type (high sec, low sec, null and wh space). While the app does contain some potentially useful information, it is very poorly designed. Readibility and formatting is well below acceptable level. There is not even an "About" screen, so I had to go back to Windows Store to find out who to blame. Sorry Team R Helix, I am no Windows Phone dev, but I can make a better looking app in under an hour. Now something well designed for a change (and quite useful, too). This is another reference app, this time for miners. It does exactly the same thing as LMeve Ore Chart: shows the ISK value per cubic meter of every ore and every ice in game. However, you have to make sure to update the prices before using the app, or the Ore chart will be inaccurate. Go to Settings and choose either Region or Trade Hub prices and then hit refresh. Good job, Vagus Malakhov! What I find useful about this app is that you can save your favourite searches on the "Favorites" page - so there is no need to enter item and system names every time. All price data comes from eve-central.com. First character tracker for Windows Phone in this test. It is very simple, but gets the job done. "Details" page shows characater name and portrait, amount of ISK, character attributes and clone data. Note: no numer formatting on the ISK field. Can't see if I have 3 billion ISK or three hundred million. "Now Training" page shows information and progress bar for the skill currently in training. You can add a reminder when the skill is trained. "Queue" page shows the current skill queue. Note: on the small screen of my Lumia, the font used for the skill list seems a little too big. "Skills" page shows all the skills currently trained by the character. It does however support Start Tiles (not Live Tiles though, but still, it's better than no tiles support whatsoever). You can pin any of your characters to the start menu. Tapping the tile brings up EveLet showing this specific character. Neat! Yup, it's the same EVEMON you know from the "big" Windows and it's been developed by the same team of people. Unfortunately... it does not work 🙁 After entring API key it complains about the format of the Characters.xml.aspx endpoint, so it probably requires some compatibility work. I will review it again when (and if) it is properly updated. One more character tracker. And I must say I'm impressed, because it is very well designed. It looks both like a native Windows Phone app (puts emphasis on fonts, font sizes and minimalistic design), and an EVE Online themed app. Menu slides in from the left and looks similar to NEOCOM strip in game. Very good design, Mr Jeremy Shore! Unfortunately it is less stable than the other apps and crashed to start menu a few times. Maybe it is just my budget Lumia. I hope Jeremy updates his app soon, because it looks really great. And it supports Live Tiles on the start menu! I really recommend this app. Good job, 3rd Rock Studios! Another ultra simple reference app. Remember when everyone had damage dealt/weakness for all factions in their bio? Well, this is it. This app is a ship database. It takes a while to load, but is packed with information, and can even display some of the ships in 3D. It looks very much like a show info window and contains the same st of information (ship stats, description, ship image). If you can't live without spinning ships on the go, this app is for you. Hello internet spaceship industry moguls! With Crius and big changes to industry just around the corner, one would surely benefit from a contribution tracking tool such as LMeve. I realize that, and despite the fact that I'm retired from the game, I still support the tools. First, thanks to an amazing dev known as CCP FoxFour (@regnerBA) and his recent work on CREST & EVE API, LMeve will now display the list of POCOs owned by your Corporation (or Corporations) and tax rates set on each of them. Another new feature is one that was well overdue - it even had a placeholder in the menu, but it was not completed before my retirement. Say hello to PVE Activity window. It shows how many missions and incursions have been run in a given month (based on the WalletJournal data; number of missions equals the amount of agent mission payouts and CONCORD payouts account for incursion sites run). A similar graph for PVP is in the works as well (will show kills vs losses). Some bugs have been squished as well (for example all graphs will now show proper number of days for each month instead of hardcoded 31). Another bug was in poller code for POS list (StarbaseList.xml.aspx). Due to the way it was written (INSERT ... ON DUPLICATE KEY UPDATE...;), all old POSs would continue to exist in the database, despite the fact they have been unanchored or destroyed. New code (DELETE...; INSERT...;) removes all old POSs and updates them per latest API data. The same code was used for Pocos, so they should update correctly as well. By the way, I have a patch ready for EVE: Crius industry changes (new ME and TE formulas), but I will hold it until this new expansion is released. You can download the latest release of LMeve directly from github: https://github.com/roxlukas/lmeve. See this post for instructions on how to install it on your webserver. CCP is not updating the 3D models on their CDN automatically, which means that 3D preview will not work for a good deal of them (or will show old models instead, for example for Tristan or Moa). I have tweeted to @CCP_raRaRa, who is the person behind CCP WebGL, so we have to wait until he runs his model export scripts again. Does it mean Lukas Rox is back? If only life was so easy 😉 Nope, I'm still retired from EVE. This is just some necessary maintenance work on apps I've written for you guys! Last summer I have written a big review of all EVE Online apps available for iOS and Android. The post has been very popular (it's in the top 3 every month), so I have decided to update it with new apps, which have arrived in App Store since the original post. While I try to avoid the word "useless", the usefullness of some of these apps below is well... low. This doesn't mean however, that they can't potentially be useful for some players. Today CCP Stillman has posted a Dev Blog about a 30 day ban enforced on people who have been using client modifications, namely warp to zero autopilot. This dev-blog would be nothing out of ordniary, if Stillman didn't remind the community about Cache Scraping being a bannable offense as well. Let me remind you what Cache Scraping is. EVE is storing some temporary data on your computer to avoid downloading it from the server every time this data is required. Market prices are a good example: when you visit the in-game market, the game is downloading prices and is storing them in cache. There is several programs, including well known EVEMON, which use this information to feed eve-central.com, one of the biggest unofficial API projects made by EVE players. Data frome eve-central.com is used to feed killboards and other third party apps with current prices. There is also the excellent Python script by Entity (the famous item collector), which allows to create a static data dump from singularity (or tranquility) client cache data. This allows third party developers to offer their apps with up-to-date databases even before official Static Data Dump is available. I have been using Entity's script to publish data dumps from Singularity builds as well (these dumps allow players to see what changes are coming to ships and modules in the coming expansion). Thank you for all your comments and concerns regarding cache scraping, we are listening and we truly appreciate your feedback. After consulting with CCP Legal and Team Security, we are not prepared to amend the EULA at this time to address your concerns. However, your comments are good ones, and we will consider incorporating them with the next scheduled update to the EULA (expected this fall, 2013). In the meantime, CCP confirms that we will only impose penalties on cache scraping if used in connection with other illegal activities in the game (i.e., botting). We will not take action against cache scraping for other uses. The day is saved, long live the EVE community! PS. It's not Stillman's fault, that the EVE EULA disallows cache scraping. What happened today however, has a chance to get the EULA ammended in such a way, that players using the data from game cache will not end up being punished for enriching the game for others.